Today I want to talk to you guys about an awesome resource for high quality UI kits and icon packs: PixelKit. You can check more icons and UI kits on their Dribbble account or visit the official website PixelKit. 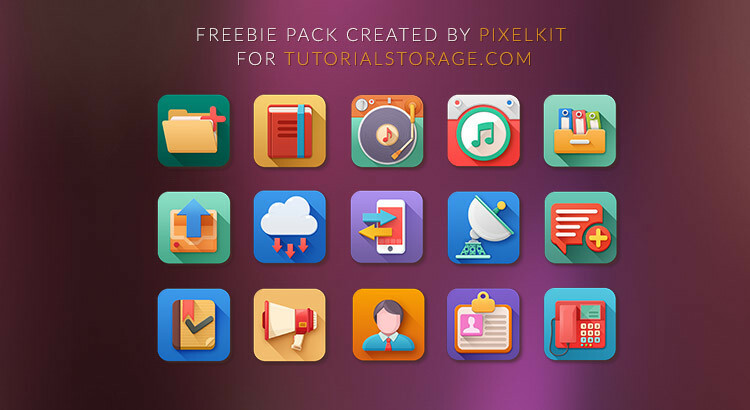 PixelKit share’s with tutorialstorage readers an exclusive 16 icons(5 O’clock Shadows Free Icon Set) from a set of total 76 icons. This new design is a combination of the modern flat style with a more detailed approach, giving the icons a cool and modern vibe. The icons are perfect for your next web project so don’t hesitate to download the pack. 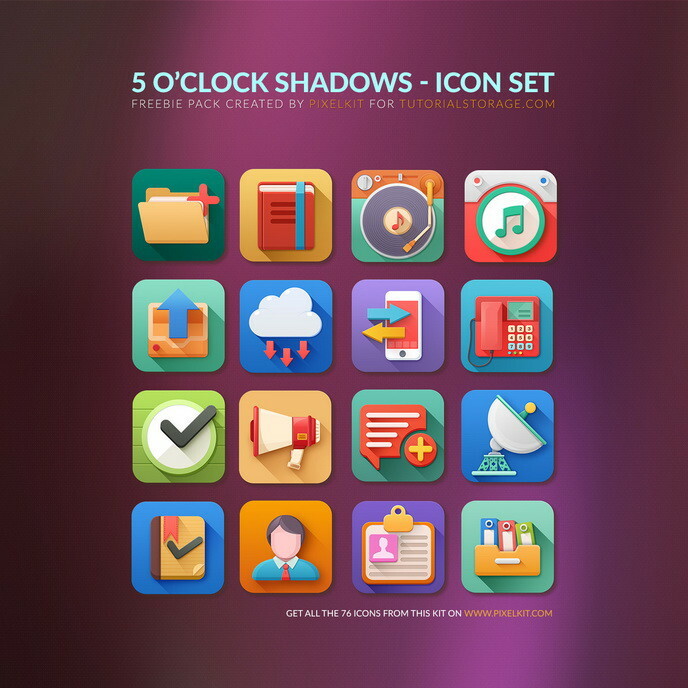 You can use 5 O’clock Shadows icons only for personal use.